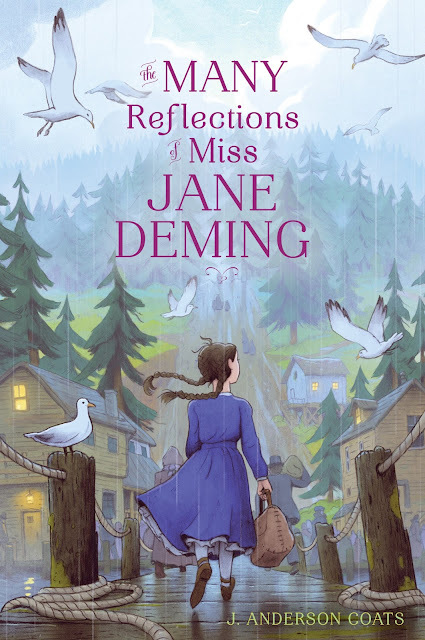 Today, we are so excited to host the cover reveal for THE MANY REFLECTIONS OF MISS JANE DEMING by J. Anderson Coats! Her first novel, The Wicked and the Just, was one of Kirkus’s Best Teen Books of 2012, a 2013 YALSA Best for Young Adults (BFYA) winner, and a School Library Journal Best Books of 2012 selection. THE MANY REFLECTIONS OF MISS JANE DEMING tells the story of a headstrong girl with big dreams who boards a steamship bound for Washington Territory, as part of the Mercer Expedition of 1866. Publication is set for spring 2017. Every writer has that moment when they realize the book they’ve been working on for months--and maybe years--isn’t theirs anymore. From that moment on, “their” book belongs to readers. For me, this moment comes when I see the cover. A person who has had nothing to do with the writing or editing process has read my book and come up with a specific picture in their mind. They’ve identified exactly what about the book captures their imagination, and that concept is translated into an image intended to introduce my story to the world. The team at Atheneum couldn’t have chosen a better artist than Matt Rockefeller. The landscape of the Puget Sound is such an important part of Many Reflections, and Matt’s ability to capture the flavor and intensity of pioneer Seattle fully does justice to the region and the moment in time. Not just in obvious ways, either--like how the sky is at least six different shades of gray, but your eye moves to the patch of blue over the hill--but in subtle ways too, like how the buildings are painted white and some are on stilts. Jane seems small against the sweep of land and sky, but she’s moving forward and taking it all in, and her braids dance with such energy--Matt has captured her determination and curiosity just in the tilt of her chin. Although if you could see Jane’s face, she’d be wondering where all the palm trees and sandy beaches are. You know, the ones she traveled four thousand miles to see. What do you think? We love the way Jane is walking into this new world, taking us with her. It looks wet and cold, but there's a warm light in the window up ahead. We can't help wondering if there's a promise of refuge for Jane, and how she will find her way in this strange new place. 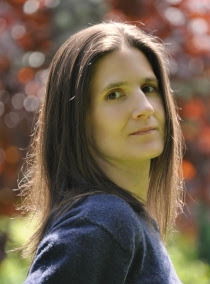 With this author's impressive track record in YA, we can't wait to learn more about her new foray into historical middle grade! Be sure to add this one to your TBR list! J. Anderson Coats is the author of historical fiction that routinely includes too much violence, name-calling, and petty vandalism perpetrated by badly-behaved young people. Her first novel, The Wicked and the Just, was one of Kirkus’s Best Teen Books of 2012, a 2013 YALSA Best for Young Adults (BFYA) winner, and a School Library Journal Best Books of 2012 selection. It also won the 2013 Washington State Book Award for Young Adults. Her short story, “Mother Carey’s Table,” appeared in A Tyranny of Petticoats: 15 Stories of Belles, Bank Robbers, and Other Badass Girls (Candlewick, 2016). The Many Reflections of Miss Jane Deming, a middle-grade novel set in Washington Territory in the 1860s, is forthcoming in 2017 from Atheneum/Simon & Schuster. OOOH! Love this cover - it reminds me a bit of a Miyazaki film! I'm looking forward to reading this one! Congratulations! I love this cover! And can't wait to read the story. I love it! And can't wait to read it! Gorgeous cover! Can't wait to read this book! That is one beautiful cover! Can't wait to read the finished book! My goodness, that cover is lovely!